Regis University is on a construction roll. Less than a month after announcing a $21 million residence hall expansion and renovation, the northwest Denver university said this week it plans to expand its athletic facilities with a $1.4 million indoor practice facility. 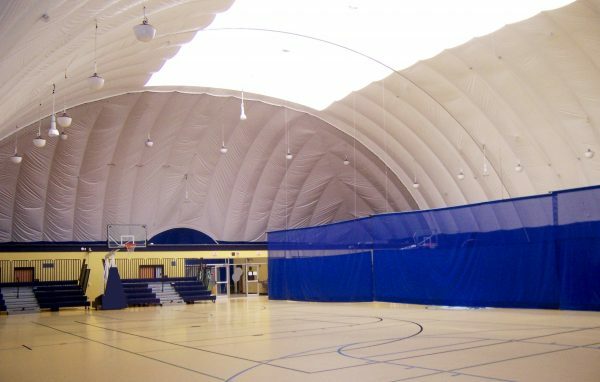 The Berce Athletic Center, which will break ground in July, will be an approximately 24,000-square-foot air dome, a structure usually made from fabric that uses pressurized air to maintain its shape. The dome will house two full-size basketball courts, volleyball courts, a weight-and-fitness area, and a film room. Spafford said having only one basketball court has been insufficient for all the teams. The air dome is seen as a solution as the university moves toward the longer-term goal of building a new arena. A gift from alumni Dan and Annie Berce, who live in Fort Worth, Texas, is funding the project. Dan, who graduated from Regis in 1975, is the president and CEO of GM Financial, the financial services arm of General Motors. Spafford said the facility, which will be located north of the Regis Field House, most likely will be completed in November. Regis also is nearing completion of an $11 million renovation of its student center.